No matter what occurs to you during an Eclipse, it’s the universe trying to move you forward, taking you from a stagnate position to new directions in life. An Eclipse can bring a new baby or a divorce. The selling or the buying of a house. The beginning of a new business or the end of a job. Eclipses do not happen the same way for people, it even depends on whether the Eclipse touches your chart at all. It could mark some very important transitional moment in your life, the kind of change you will never forget, while some Eclipses may not affect you at all. The reason we astrologers inform people about Eclipses is for the purpose of bringing to awareness where in his or her life, a person might need some re-vamping or a total make up. When you become cognizant of the process, you become part of it too, and you have a better understanding of when a situation is coming to it’s conclusion, and you’ll be more aware that you need to move forward, that you’re learning your lessons, evolving and growing in the right direction. Trying to patch up a house that is collapsing and in tatters would not be the best option. Building a new house, with a strong foundation, with larger rooms and better suited for your current reality, is a much better option. At the end of the process you will be amazed to observe that had the old house not started collapsing around your head, you might never have had the chance to build a new and better home. Let’s pinpoint where in your chart the two Eclipses of March 8th and March 23rd will bring opportunities and or the end of past occurrences. The Solar Eclipse on March 8th falls at 18º Pisces, at 9:57 PM (Eastern Time). Solar Eclipses are more exciting, they bring new beginnings and new opportunities. At this Eclipse we have many planets transiting the sign of Pisces; Mercury, Neptune and the asteroid Palas. Quiron is at the same degree of the Sun and Moon. Quiron as the healer of the zodiac, offering opportunities to heal old wounds; physical and emotional. Think of hands on healing, the power of the mind, herbs, natural medicine, opposed to traditional medicine. The events at this Eclipse will bring enlightenment of the soul and spiritual healing. Jupiter retrograde is across from this Eclipse, creating delays in progress and making us have to push ourselves really hard to get what we want. Review the values of the house where Jupiter is transiting in your chart which is across from the Eclipse. Saturn is having a serious conversation with this Eclipse, so most of us might be reluctant to accept the new order, however it’s paramount for our evolution that we accept whatever the universe sends to us. It’s a spiritual, transformational Eclipse, and we should take it seriously. Be grateful for everything that happens to you, be it good or bad, pleasant or unpleasant. Every experience that you go through has been specifically designed for you to learn the right lessons. Uranus also takes part in this Eclipse bringing excitement and revolutionary news. The sector where this Eclipse touches in your chart will determine where the new developments will take place and where healing is about to happen. Please read your sun sign and your rising sign as well for more precise information. Lunar Eclipses are more emotional and they bring final endings and makes us more sentimental and sensitive. The Lunar Eclipse on the 23rd will occur at 03º Libra, (opposite the Sun in Aries) at 8:01 AM (Eastern Time). Mars will be adding more energy to this Eclipse, and we feel more encouraged to move away from relationships, be they romantic in nature, business related or even friendships that are not working for us any longer. We are always in a process of change and evolution, people around us are part of this process. This Eclipse is bringing to our consciousness the duel between individuality and companionship. Saturn is having a serious conversation with Venus and Jupiter, indicating that we have to struggle to get the progress we are looking for. Love will be in jeopardy. Unstable relationships can come to an end. Partnerships might collapse and your feelings for someone can change dramatically. However, a challenge always makes us stronger and more experienced, so in the end Saturn will push us to an unknown road that happens to be more prosperous and more pleasurable than the last. I am providing all of the 12 signs because it’s important that you read your rising sign as well, in order to give you more information about the eclipse’s effects. Both your sun sign and your rising sign will give you the information you need. Buck up, March is going to be a busy month! This Eclipse will be more spiritual and deeply transformational for you dear Aries. A divine awakening might come at a moment of meditation, or in a dream or even in a situation where you have to spend some time alone in order to get in touch with your inner self, your soul and your subconscious mind. Expect for an a-ha moment that can be super exciting and which can change how you project yourself on others. Jupiter is across in your area of work, daily routines and physical body, indicating that divine help will come, but you have to work hard in order to get your goals fulfilled. If you get fired from a job, it could be because something better is about to come, but you have to clear out the banquet first, in order to prepare to receive a new one. Now you are confronted with the ‘me first,’ a tendency most Aries carry around, and others need. It’s like if you learn to receive and to give, you win. If you don’t, you might loose someone very important to you. A stable relationship could undergo a crisis if you insist on having your way and not listening to your significant other’s point of view dear Aries. Your spouse or your business partner could be very sensitive at this time, so think twice before you speak. If your birthday falls on the 23rd or 3 days before or after, you will experience a year of many transformations and evolution. You might come to the conclusion of a health treatment or a physical process that you have been undertaking. Your area of friends and dreams will be the place where this Eclipse will strike. It could represent the beginning of a very important friendship, or a new dream will be taking place. It is an excellent day to make your wish board and ask the universe what you want to receive. Remember, a dream is always the beginning of a plan that could end up very successful. A new relationship could be conflicting with your wild side. One part of you wants to party and have fun with friends, but a romance is also waiting for you…. Network dear Taurus, learn everything about media; open an account on Twitter and Instagram if you don’t have one, and expand your business. This Eclipse can bring healing to a health related condition, or you might be confronted with emotional pain, which could explain your health problem. Your vitality might come down during this full moon and issues about money and assets could be a source of concern. Learn to deal with your money in a more professional way. Hire a business or financial consultant if you must, dear Taurus. For you dear Gemini, this is an amazing Eclipse that can bring a big career assignment or, perhaps lead you in a new direction. Most Gemini have a tendency to change directions pretty frequently, so this is an opportunity to start something new. You might have to deal with some opposition from your family, spouse or parents, but you better than anyone, always has the best arguments to convince someone you are right. Use your talents. If something ends, let’s say you are fired, or your company closes… don’t worry because something new can come up as early as the week of the Eclipse. Your mother could be undergoing a process of healing at this time. Your spouse could bring you a stressful situation at this point, and it could impact your career. Try to focus on your own business dear Gemini. It’s an optimal time to know who your real friends are, who really loves you. If you are looking for a new love, this time can mark the end of a long period of celibacy. You are more creative at this time, pregnancy is on the horizon. You might be at a crossroad, divided between giving attention to you spouse or to your career; choose the one that needs your attention more, dear Gemini. Ask your heart. This eclipse can highlight a new direction in the way you experience faith and spirituality. Your mind power will be very evident and strong. You might be invited on an amazing trip that will heal any problem you could be confronting. You might think about moving to a new place, or a new city or even a new country, but you have to plan very well, if this is the case. Make a business plan, learn everything you can about your new venture and then make your first move. Family will be your object of concern, and your health needs your close attention during this eclipse as well, dear Cancer. Something comes to a final conclusion, either relating to a job assignment or a health situation. If health is your concern, you might find the solution or cure in another country other than the one you were born in or reside in. Maybe a foreign specialist can have the cure for you. When there is an eclipse where Quiron is a part of it, first you may experience a pain or loss, but then you experience a miracle, and God’s mercy. It’s a time for healing dear Leo, for rebirth and reprogramming your life in new directions, either related to your finances, personal life, relationships and or parenthood. You might have to work very hard and even though the results might be below your expectations, you will still be able to succeed if you work harder with a plan and if you are patient. Your attention goes to moving to a different neighborhood and or dealing with sensitive issues related to siblings. Matters relating to contracts, media, communication, and siblings is where your attention will be. Children can be on your mind at this time; if you are pregnant, you could experience some worries either related to your health and or the baby’s health or your finances. You might need to move to a bigger place but your budget won’t allow you to do so. Be open for any changes in your plans dear Leo, the universe wants to test your faith and your power to turn a negative into a positive. In the end you will win. If you are married, there’s a big chance your relationship shifts to a better place, leaving behind any patterns that prevented your relationship from being delightful and amazing. This is a great time to travel together and reconnect with your spouse or to celebrate a new business partnership, dear Virgo. If anything goes wrong with your marriage, take the blame, because Jupiter in your sign, is pushing you to see faults and imperfections without focusing on the whole picture. The most important matter in a relationship is trust and companionship, besides love for each other. When two people are in love, no matter what others say or think, your love should be beyond any irrelevant points of view. Family and money are very sensitive subjects, especially when they clash at the same time. You might be worried because your finances are in bad shape and your spouse is not helping at this point, so just accept what is happening dear Virgo, because the universe wants something better for you. Jupiter is on your side and everything will end in your favor. At this eclipse you might experience a miracle dear Libra. 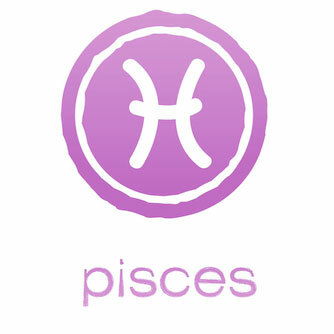 You are having a line up of planets in Pisces in your area of health. Quiron along with the Sun and the moon are leading this very special moment. First you experience pain, either emotional or physical and then comes the healing. This eclipse also can change the direction of your work, you either move to a new location or you begin to work with something totally different. You will be asked to help others by sharing your experience with pain and sorrow in order to heal someone else’s pain and sorrow as well. It’s time to serve and to offer your ‘gifts’ to those who need your help. This is a very sensitive moment for you dear Libra, when others might be pushing you too hard and your emotions will be on edge. When there’s an eclipse in your sign, or in your ascendant (rising sign) or if you were born on the 23rd or 3 days before or after the 23rd, this could be a very important year for you. A year when you might end situations that are not working for you anymore. Take good care of your health and don’t allow any negative thoughts to take away your power and focus. Love is in the air! 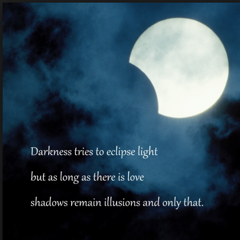 This eclipse will fall the area of love dear Scorpio, true love…. If you have any karma related to love that has been preventing you from finding the love of your life, sit still, because this eclipse can bring the healing of this karma and you will be able to fall in love. Not only that, but you’ll find the princess or the prince you have always dreamed about. Your sensuality is ridiculously exuberant. Pregnancy also is on the menu dear Scorpio, and your creativity will go beyond any limit! Jupiter might represent that little pebble in the sole of your shoe, and it might prevent any relationship you started this week to have a fast ride. Something you have been hiding from yourself and others could come to the surface, be it an emotional, psychological or physical pain. Confront it dear Scorpio and you’ll feel a lot better. This is a good time for a check up, the sun in your area of health can bring to the surface something that doctors will find hard to detect. Emotional stress with money and anxiety could be the reason for your physical problems. You might have some extra expenditures or the excitement for finding someone new could encourage you to splurge on some new outfits and or jewelry to look your best. But do be careful dear Scorpio, you might regret this later. Family is your top concern during this eclipse dear Sagittarius. Something new is about to take place, either a family addition or a divorce could be possible, but nothing that is not already on your radar. If you are in a relationship that is not satisfactory, and you have been suffering, it’s time to make a decision that is best for you. Your responsibility to be happy only depends on you, so go ahead and change what is making you unhappy. If you are young and still living with your parents, this eclipse could present you with the right opportunity for you to move out and start living on your own. Career duties could be preventing you from being with your family, or moving to a new location. Either way, it’s time to work harder now so as to wait for your rewards later… and you will succeed, dear Sagittarius. A friendship that is important to you could end during this eclipse, and it’s going to be hard for you to deal with this change. Your enthusiasm and optimism could be weighed down at this time dear Sagittarius, with heavy duty responsibilities and some frustrations, but don’t let it get you down, keep doing things with the same enthusiasm you always display, and you will succeed. Love is on your side, if you are single you might meet someone new during this beautiful, full moon eclipse! If emotionally involved, plan something amazing for the night. You might hear some news from your siblings, a sister might be pregnant, or someone is setting their wedding date or another surprising announcement will be made. You might have to travel overseas at this time, however count on some bumps in the road before you even take off. If there’s an issue between you and your sibling you might experience some healing in the matter, he or she may apologize and you will be close and happy again. Some of you might decide to finally go back to school and finish a degree or you could decide to sign up for new classes. This could be a time to end a cycle related to your career dear Capricorn, when something will come to it’s completion. If you work for a company, your boss might notify the staff that he will be closing the company or needs to let go of a few employees, and you could be one of them. But don’t worry because something better is on the way. Think about events that took place 19 years ago, did you have any change in your career? Did you start a new job? Did you maybe finish college? Started your own business? So now again, it’s time to end one cycle and start a new one. Family issues could come to a point where you can’t pretend the problems don’t exist anymore, dear Capricorn. It’s time to confront the issues and resolve whatever presents itself to you. Nineteen years ago something changed in your finances dear Aquarius, either you got your first salary, or you started you own company. Maybe your business started to bear fruit and you made a great amount of money, or you were very young and received a large sum from your parents to get you through college. If you are having any money issues, healing is on the way dear Aquarius. You have many possibilities, either your business will finally give you some reasons to smile or you will get a job with a higher salary or a second job to supplement your income. Nothing is easy in this world, but help will be on the way and someone out there will be on your side helping you in whatever you may need. This eclipse might represent a college graduation or the end of a college internship. Some of you could be ending a court case with great success. If you are living in a different country for business matters, this is the right time to go back to your hometown, when your contract draws to an end. Your charm gives you carte blanche and you can get whatever you want with some sweet talk and diplomacy. If you have a contract to sign, and during this eclipse you have a clear understanding of the contents and you can decide whether you agree or if you disagree, rationalizing with a lucid mind. This Eclipse is in your sign dear Pisces, so it’s affecting you in HUGE ways, representing a new start for you; a new cycle and a very exciting time. To have an idea of what will happen, go back 19 years and try to recall what was going on for you at that time. Did you have a big move? Did you get married? Changed residence or moved to another country? Became pregnant, and today your kid is going to college? Whatever happened 19 years ago, (March 8th, 1997) is connected to what is happening now on March 8th. Be flexible to change dear Pisces, the universe is offering a new chance for you to start over and perhaps even surpass your greatest expectations. Venus will be beautifully transiting your sign dear Pisces giving you some extra charisma and luck, so during this eclipse you might close on a financial deal, or you split with a partner or someone who played the role of ‘investor’ while you played the dreamer. Career issues could come to the fore, but you will be strong enough to move things around in your favor. In order to have a new beginning we need to empty our baskets first, my dear Pisces. At the end of my January 2016 horoscopes, I sent my readers an offer to buy a 12 month horoscope packet. Unfortunately, I won’t be able to go ahead with this deal because I didn’t get enough subscribers willing to pay for the yearly horoscopes, which makes me realize that the work I do every month and the effort I put into preparing the 12 horoscopes is not worth it financially speaking, for the majority of my subscribers to pay for, which I can understand. As a result, I’d like to inform you that I won’t be writing the (free) monthly horoscopes any longer. Instead, I will focus my attention on my work with personal readings and holistic heath counseling sessions, which have taken over my time considerably this past year. I will, however still send you announcements on major transits, like Mercury retrograde, or any other transit that is worth knowing about. I wish you a great year and thanks for being a consistent reader for the last 15 years.